Sometimes the most unexpected and delightful events occur if we are willing to step outside of our comfort zone. A perfect example is what happened to me on my last visit to Cappadocia, when I discovered what was to be my favourite boutique hotel in Cappadocia. 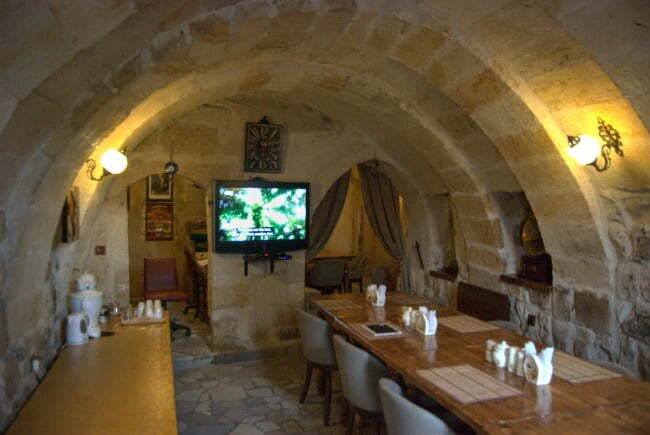 On every visit to the region, I always book hotels in Goreme, Urgup or Uchisar. However Suat, an online acquaintance of two years said that when I was in the region again, I should visit him in Ortahisar instead. On this occasion, I took him up on his offer and booked in for a 3-night stay at his hotel, called The Castle Inn. When my visit was over, I begrudgingly packed my bags to move onto Urgup. The hotel there was already booked and I could not back out. I desperately wanted to stay which is unusual for me because normally after 2 days, I am eager and willing to move on. 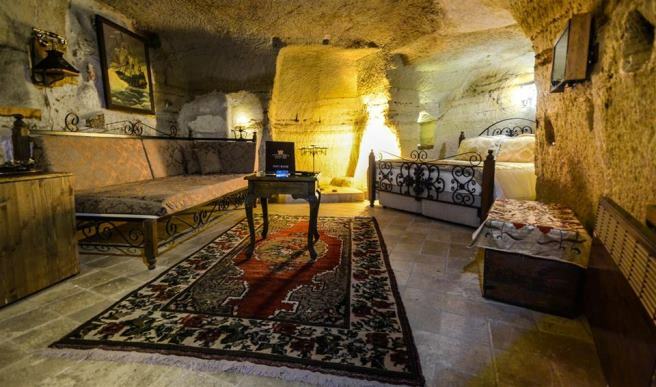 Suat, the owner and manager had a dream to create a different type of hotel in Cappadocia so he bought an old cave house and experts said he could renovate it into a boutique hotel for about 50,000 Turkish lira. At the end of two years, he had spent 250,000 Turkish lira creating his version of the perfect hotel. Why did it cost him so much? 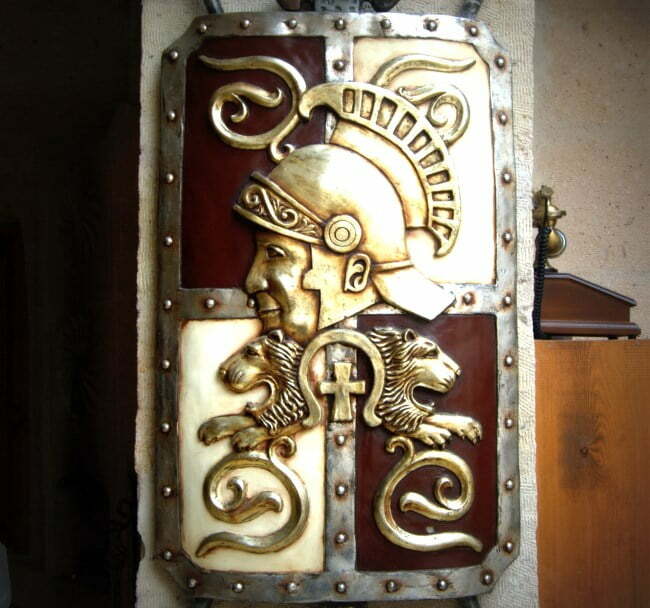 Well, most hotels in Cappadocia opt for the typical cave theme, but Suat decided to carve himself a castle instead! His business plan was also remarkably simple. While most hotels opt for a particular theme such as luxury, budget, or all-inclusive, Suat’s main goal is simply hospitality. So how does he pull it off? By making you feel at home. As a boutique hotel, there are only 5 rooms, all without numbers on the door. 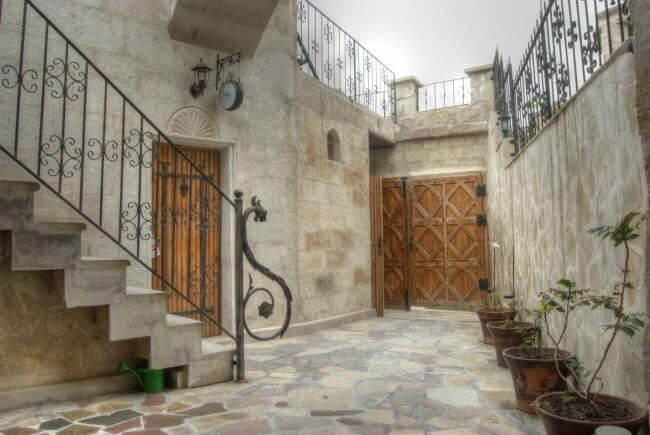 Guests are given keys to the wooden, castle-like exterior doors of the hotel so they can come and go as they please, then down a short flight of old-fashioned stone stairs, is the breakfast area and reception. How delighted was I to learn there are no time restrictions on breakfast and the cook does an exceptionally marvellous job of whipping up delicious cheese omelettes. Basically hotel rules do not exist, and each room has a personal theme, making it devoid of the bland look that blights most hotel rooms. My minibar was free (an extremely effective way to make me happy,) the satellite TV had English-speaking channels and watching them while lying down in a king size bed with deluxe mattress, kind of made me feel like Queen of the castle. On the first night, I slept for 12 hours straight through! Outside of my room was a terrace area, overlooking the old part of Ortahisar with the new town in the distance. As a sucker for sunset views, I settled down to check my photos each day. Now the hotel, does not have a bar on-site but all I had to do was give Ahmet the receptionist, some money and he appeared 5 minutes later, with beer from the local shop! So overall, the hotel received top marks from me for décor, relaxation and service but which factor won me over entirely? Remember the concept I mentioned above? Suat is an easy-going person, with an excellent grasp of the English language. (He also had the awesome experience of appearing on Martha Stewart’s show!) His wealth of knowledge enables him to have easy, relaxed and light-hearted conversations with people from all walks of life. An independent couple who were avid hikers put his local knowledge to the test. Then of course, there was me with my “been there, done it” type of attitude. “What else can you suggest?” I said. He recommended many places for me to visit that I had never read about in any other guide-book. Suat is no longer an online acquaintance. He is now my friend. Of course, his hotel played a large part in my happiness of those 3-days but it turned out that we have many common interests including the history of Turkey which is a passionate hobby of mine. Now please do not assume my new-found friendship has led me to write a biased review. Simon and Erin from Never Ending Voyage also felt sad to leave. 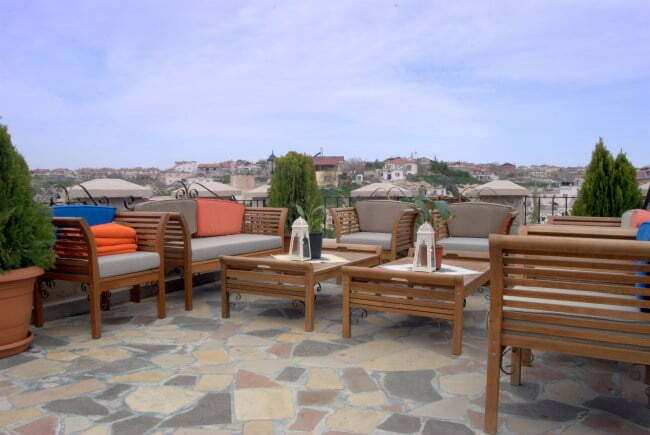 The Castle Inn has also won the “2015 Traveller’s Award” from Trip Advisor and is number 1 for hotels in Ortahisar. An impressive achievement for Suat, who only does this job as a hobby! 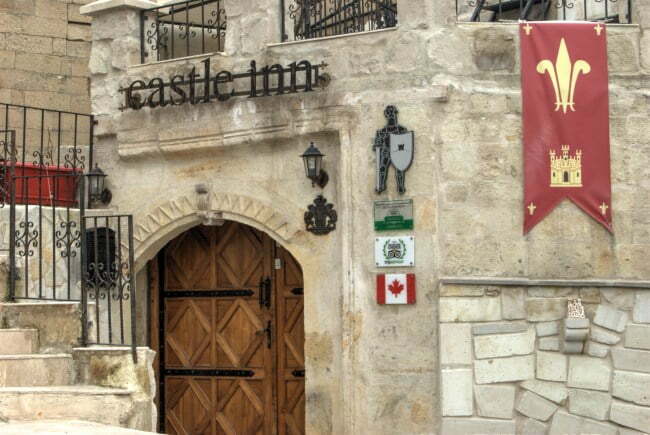 Check out the website for Castle Inn here, or follow them on Facebook to get updates about them and the Cappadocia region. 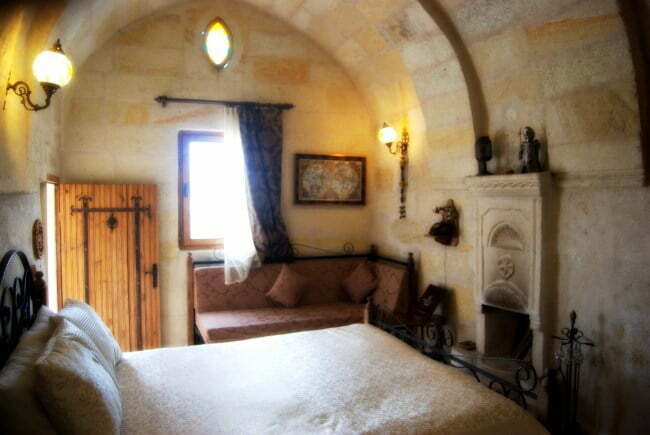 Reminder : The Castle Inn Boutique Hotel in Cappadocia is available at 15% discount to Turkish Travel Blog readers. Just quote TTB2017 15% discount, at time of booking or tell Suat that you found out about his hotel here. PS If you really want to stay in a cave room, they have one of those as well! So glad you enjoyed your stay. Wishing you all the best on your travels. Just checked out from Castle Inn this morning! Absolutely had a blast staying there. Suat and his partner are such nice hosts! Thank you for your recommendation. Hope to see you in person some day! We stayed at Castle Inn too … It was really a great stay. That looks like a really cool place. I hate staying at sanitized hotels. You know the ones that are all the same. Anytime I can stay somewhere that is unique I will opt for that and this place looks unique. 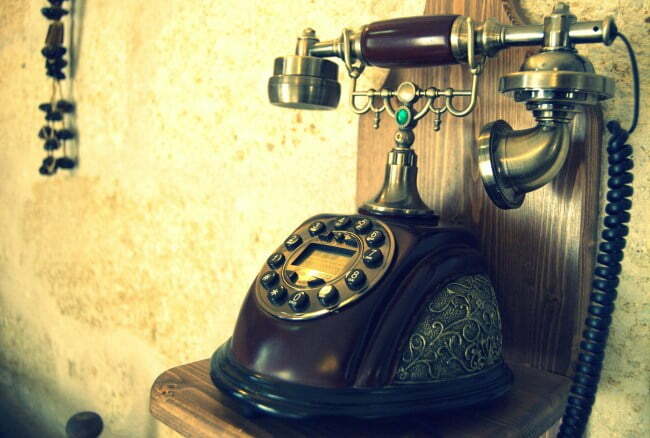 Wow, the decor here reminds me so much of the colonial Mexican town that I live in. Stunning!! The cave room takes it over the top! !